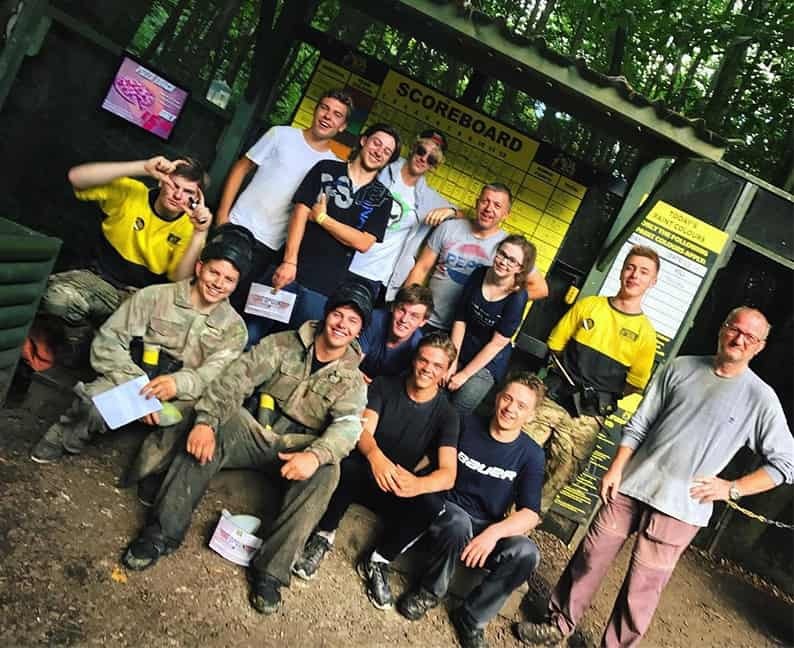 With over 250,000 YouTube followers, practical joker and all-round funny man Jack Jones traded pranks for paintballs as he and his squad visited our Delta Force Paintball centre in Orpington. Taking a few snaps at basecamp, Jack didn’t hesitate to post to his 425 thousand followers on Instagram before stocking up on over 2000 paintballs from our shop, plenty enough to fuel him throughout our highly immersive game zones. It takes nerves of steel to fight your way through our Enemy at the Gates scenario, though after messing with the people of London on a daily basis, Jack didn’t appear phased as he stormed through bunkers, dived in trenches and took on enemy tanks. Feeling the adrenaline kick in, Jack even challenged our Delta Force staff to battle it out on the exhilarating Speedball arena. With its vast open space and very little cover, it requires players to think on their feet at speed and though Jack may be a whizz at shooting vids, when it comes to shooting paintballs we’re the best in the business and claimed victory over the YouTube star. It was smiles all-round though as Jack showed real sportsmanship, chatting to the staff afterwards and said he would love to come back for a Delta Force tournament. We would love to have you back Jack, but quit working that funny bone and brush up on that trigger finger. You can read more about our celebrity paintballing players or if you’d like more information about booking your own day out at the Orpington Paintball Centre, call our events team 24 hours a day, 7 days a week on 0203 869 9301.